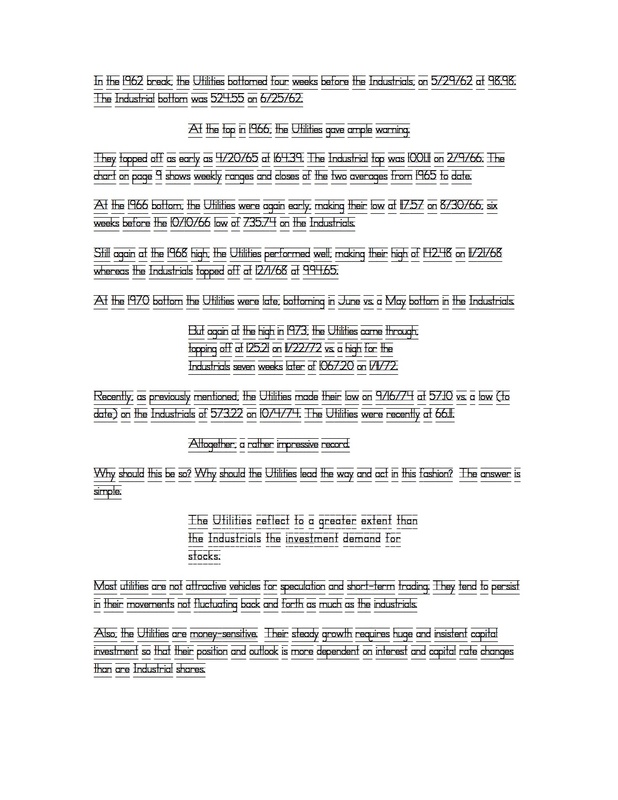 My wave counts are NOT Elliott Wave and if you haven’t read the explanation about my unorthodox wave counting method . . .
See My Charts for wave counts and lots of indicators indicating market health. My tweets are frequent and my blogs have been infrequent. Stay current by reading . . . I have hundreds of pages of Gould’s “Findings & Forecasts” articles and special reports. It’s possible that many of these articles don’t exist outside of my library. This is the master that taught me how to interpret the stock market. Prior to reading Gould, I was a follower and didn’t know how to PREDICT the stock market. 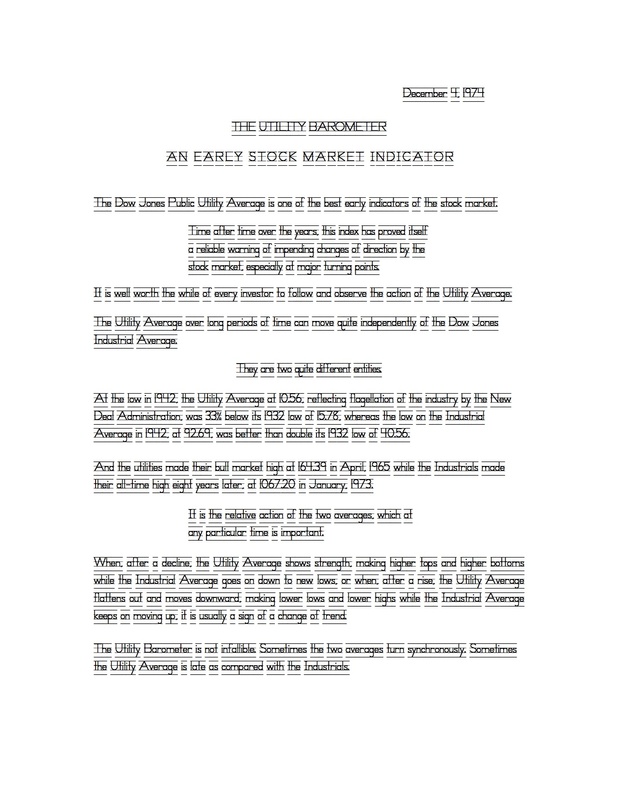 This article is “Utilities, An Early Stock Market Indicator” written by Edson Gould in 1974. This article will tie into the next blog update on SSI Variations. I have selected a font that is possibly not OCR readable. This font should yielded jibberish errors with OCR software. 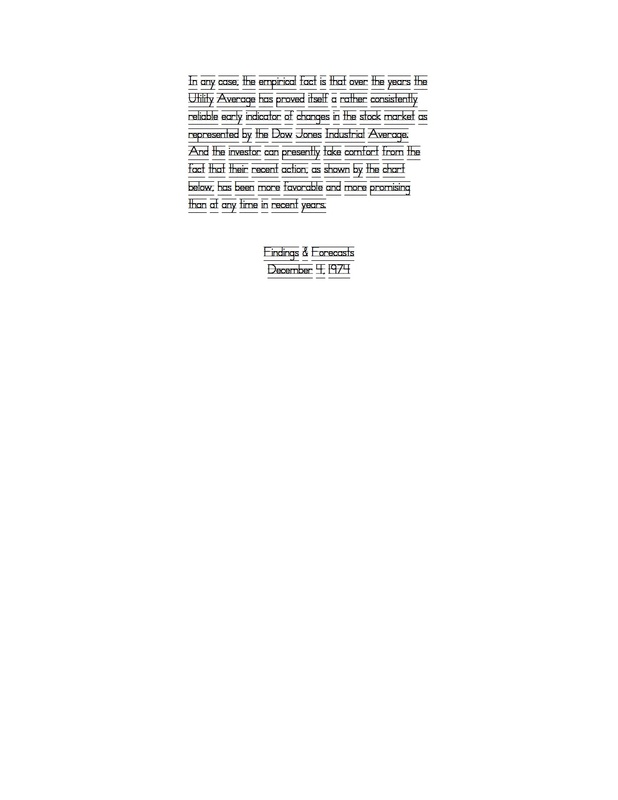 The article as displayed on this page is too small to be readable. 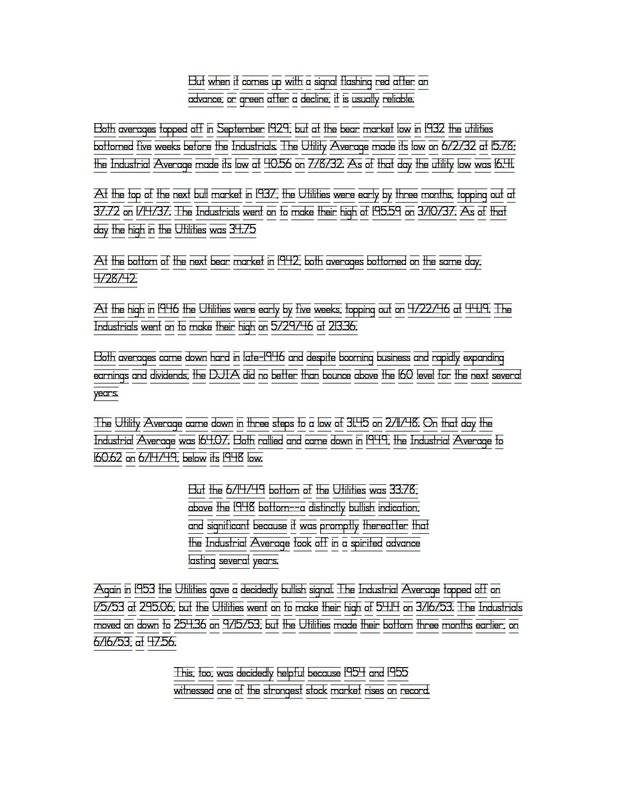 Enlarge the page by clicking on it and it should then fill your screen, if not click on it again. If you have a problem reading it on your computer, print the article and you’ll find it easier to read.